Welcome to our Parish website. Ballinhassig Parish is in the Diocese of Cork and Ross. It includes the areas of Ballygarvan, Ballyheada and Goggin’s Hill. Each area has its own church and school. There are many active groups and ministries in the Parish. The members give generously of their time, energy and efforts in supporting the parishioners to become an active vibrant, Christian and caring community. We welcome all who have come to live in this Parish in recent times and encourage them to take an active role in the life of the parish. The many and various groups in the Parish would welcome more help and new members. We can do no great things only little things with great love. We hope this website will provide you with the information you need in finding out more about our Parish and its activities. 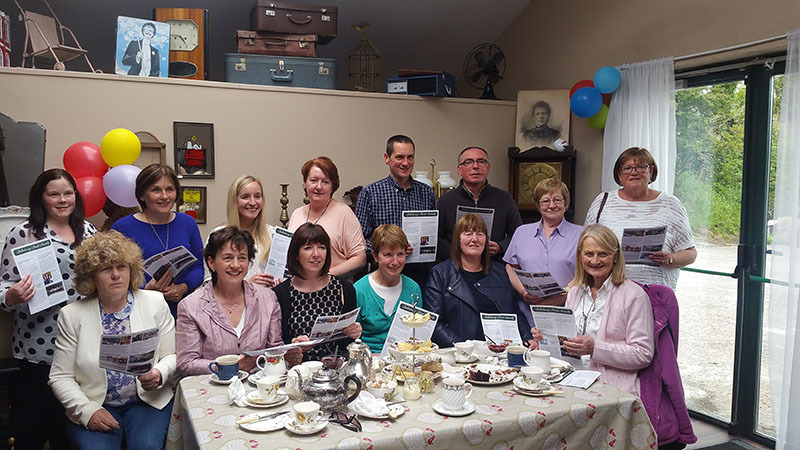 Ballinhassig Parish Assembly at the launch of the 8th Parish Assembly Newsletter, at the Workshop, Ballygarvan, on June 15th 2017. For the tax year 2015, the Parish has just claimed €4,200 from the Revenue Commissioners. This is in addition to €18,000 reclaimed in previous years. If you have contributed more than €250 to the parish in the calendar year 2014 or 2015 or intend to do so in 2016, and pay tax under the PAYE tax system please let us know. You can do so by submitting the information below. Then return via your numbered envelope in the Sunday collection or direct to the Parish Office. Please note returning the information does not commit you to paying any amount, you can stop or reduce your donation whenever you wish. We are grateful for all donations of any amount whether they can participate in the scheme or not. Thank you for your generosity and support.